My name is Marie Lum, also known as PuccaNoodles, and I am a storyboard artist located in Los Angeles, California. Thanks for stopping by. I'm starting this Patreon to make more zines! They're fun, they're cool, and I love making them. 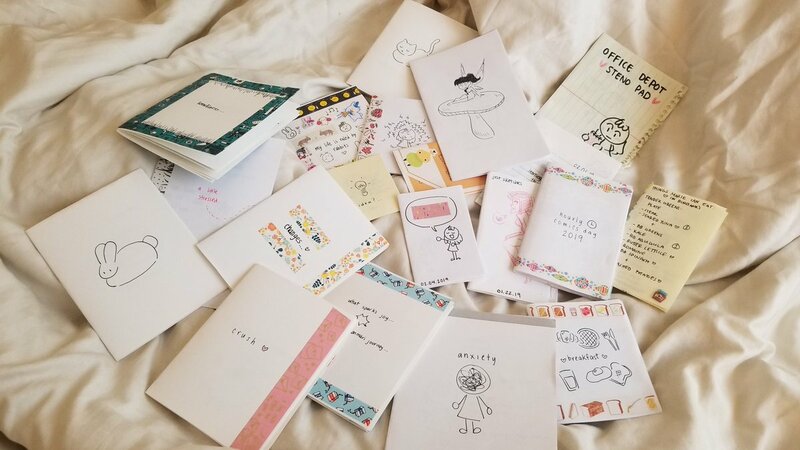 I want to share my zines with the world! Get a Zine in the mail every month! I will be creating Zines either by hand or digitally, and then send them off to the printers to be mass printed. Every month will be a new zine! Sometimes, I'll send out a handmade original to a lucky patron! I'll sign each one before sending them out as well. Supporting the $10+ tier will get you a zine sent right to your doorstep. Zines are sent out on the first of every month. Any amount of support helps! Thank you so much for taking your time to stop by and check out my project. You don't want zines but you still wanted to support this patreon. Thank you so much! With this I can print monthly stickers to go along with the zines!